The Northern Railway and the South Delhi Municipal Corporation together launched a mosquito terminator train at the New Delhi Railway Station yesterday. 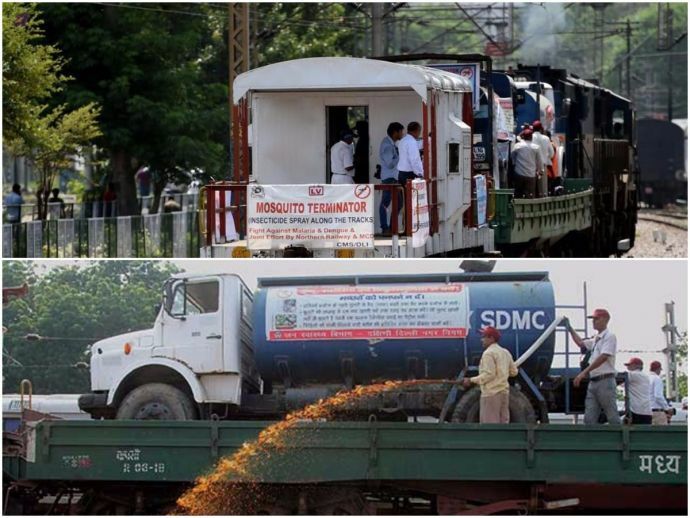 The Northern Railway and the South Delhi Municipal Corporation (SDMC) together launched a mosquito terminator train at the New Delhi Railway Station yesterday. 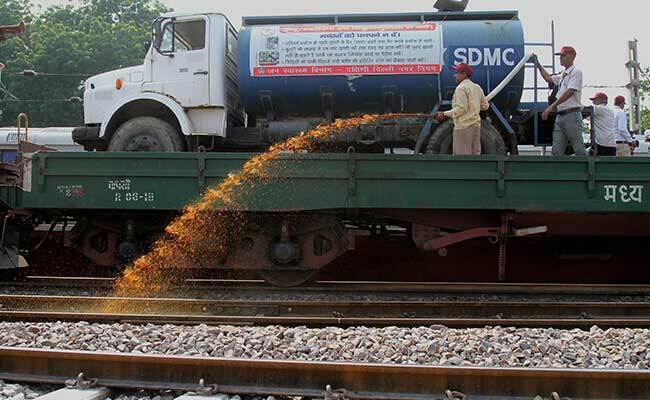 The train is expected to cover around 70kms a day and will spray insecticide on water bodies across the railway tracks around the city. According to a senior civic body official, this is an annual exercise carried out in order to prevent mosquito breeding in the localities along the railway tracks that are inaccessible by roads. The train is expected to cover areas in Sadar Bazar, Sarai Rohilla, Patel Nagar, Delhi Cantonment, Palam and Gurgaon on August 19. In the subsequent days, the train will be passing through localities of north and east Delhi municipal corporations. In its first trip on August 18, the special train covered areas in south Delhi such as Hazrat Nizamuddin, Lajpat Nagar, Patel Nagar, Delhi Kishanganj and Sadar Bazar. All trips will start and culminate at New Delhi station. The train is expected to take eight trips around Delhi by the 16th of September. A senior Northern Railway official told that the train runs at the speed of 20km/hour to make sure that the target water bodies are sanitized properly. “The truck with the power sprayer is loaded on a special wagon which has a low flat surface. This preventive measure will go a long way in protecting a large number of residents in slum clusters along railway tracks. The insecticide is sprayed during early hours to avoid inconvenience to public,” said the SDMC mayor Kamaljeet Sehrawat. The work takes place under the supervision of malaria inspectors and other staff members. By arranging for spraying of insecticides in railway colonies that fall in the jurisdiction of civic agencies, the railways also help the corporations.